Since 2008, Record Store Day has endeavoured to celebrate the culture of the independently owned record store. With the rise of digital music sales and online retailers, it was a bright initiative to remind people (or in some cases possibly inform people) that record stores actually exist. It was timely too; just seven months prior to the idea being conceived, iconic retail conglomerate Tower Records closed after filing for bankruptcy and liquidation. Whilst it wasn’t these large corporate behemoths that Record Store Day sought to shine a light on, it was indicative of what was happening in the music industry at large, in particular, the dramatic fall in sales of physical product and the rise in more accessible digital distribution. Record Store Day was (and still is) an attempt to bring some romanticism back into the act of purchasing of music. When you think about it, it’s astonishing how quickly Record Store Day became such a gargantuan global success. In 2008, the year of its launch, there were approximately 10 designated special releases to mark the day. This year, there are 560 (I counted them). I don’t think anyone would doubt the concept of Record Store Day or the good intentions of those who set it up and considering vinyl sales have steadily increased year-on-year in conjunction with its launch, there is an argument that suggests it’s succeeded in its intention; to help people rediscover (or discover) a desire to leave the house and visit their local, independent record store. According to Spencer Hickman, UK co-ordinator of Record Store Day and former manager of Rough Trade East, it's now the biggest day of the year for independent record shops, proving more profitable than the entire week before Christmas. But there are factors that have a knock on effect on the industry at large which would have been tricky to predict upon the idea’s conception in 2007. Following the vinyl resurgence, demand has been high and sales continue to grow (9.7million sales in the US in 2018 according to a report from Buzzangle, a roughly 12% increase from 2017). After some initial reticence from the music industry at large (probably fearing the vinyl resurgence was a fad ... which it still might be) more pressing plants are beginning to open. But the RSD backlog historically has caused a significant disruption to the release of new music. Plus, with shelf space being limited in record stores, often there simply isn’t room for new releases on shelves, as RSD stock is bought by shops with a no returns policy. So if an indie store buys in 10 copies of the reissued Does the Cosmic Shepherd Dream of Electric Tapirs? by Japanese psych-rock outfit Acid Mothers Temple and it doesn’t fly off the shelves, that shop is stuck with stock they’ve paid for upfront with no hope of returning it back to the distributor. In 2016, Phil Harding, the boss of Taunton’s Blackcat Records, told the Quietus an anecdotal account of record stores having to borrow money to buy stock because of a serious lack of cash flow around Record Store Day. Which, to my mind, sort of defeats the object of having a day dedicated to independent record stores in the first place. 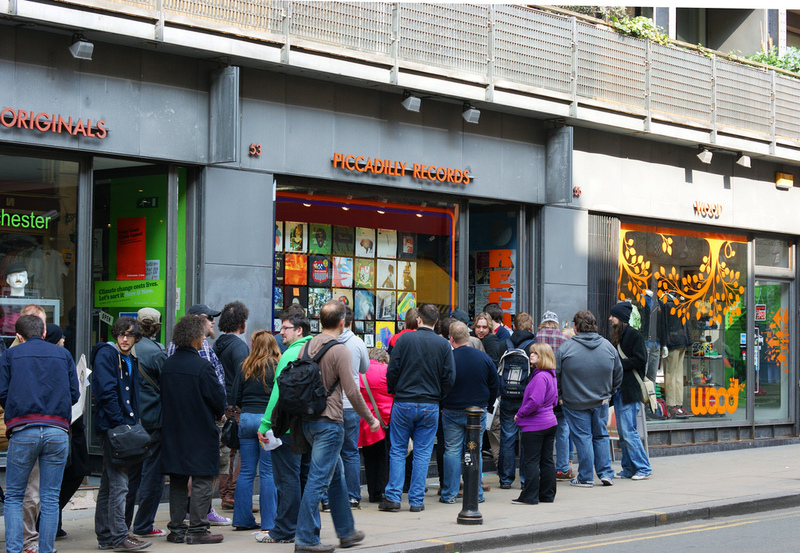 There are other issues too; with the vast majority of RSD releases being limited editions, scalpers have caught on to the fact and are now queuing outside independents at 6am on the day to buy up as many of these limited releases as they can to sell on at widely inflated prices, making a small fortune in the process. You’ll be able to see for yourself soon enough; Record Store Day 2019 is this Saturday and I guarantee if you type ‘Record Store Day’ in to eBay around lunchtime on the 13th April, you’ll see a huge swathe of those 560 releases for 3, 4, 5 maybe even 6 times their recommended retail price. And unfortunately, people will buy them, once again countering the point of Record Store Day in the first place. Record stores do try to counter this by limiting the amount of RSD releases each customer can buy, which helps of course, but it doesn’t eradicate the problem entirely. Worryingly, there doesn’t appear to be a consensus on how many independent record shops there are in the UK. I’ve taken a story from The Vinyl Factory in March 2016 (although it was reported widely by various outlets) which boldly claims in its headline that the number of physical music shops in the UK was at a record high. A cursory glance reveals there to be ‘14,727 physical shops in the UK which sell records, CDs, DVDs and Blu-ray’. Already, the addition of ‘DVDs and Blu-Ray’s’ has slightly skewed the bold proclamation made in the article’s headline. The report, undertaken by the Entertainment Retailers Association claims that the number of stores selling music and video has more than doubled since 2009. Read further though (and we already know that most won’t) and you discover that the figures are skewed even further, due to the inclusion, for the first time, of retail chains such as Boots, Primark, WHSmith and Urban Outfitters. I will give £1,000 to anyone who can prove they bought a Bananarama's Drama from Urban Outfitters! It’s almost as if these reports are created in such a way to hide the real data and simply spin their own narrative (imagine that!) By my count, according to this incredibly handy map on Vinyl Hub there are currently 756 independent record stores in the UK. If that’s true, then maybe Record Store Day has had a positive effect on indie record stores, as The Quietus reported that by the end of 2008 (the year RSD started) there were just 305. Further good news comes from the fact that Record Store Day seem to have listened to some of the criticisms regarding too many releases clogging up the pressing factories for ostensibly just one day of the year (in 2014, there were 643 RSD releases, 83 more than there are this year). But it feels to me that in order for Record Store Day to truly fulfil its modus operandi, it needs to take one step backwards before it can take two steps forward.